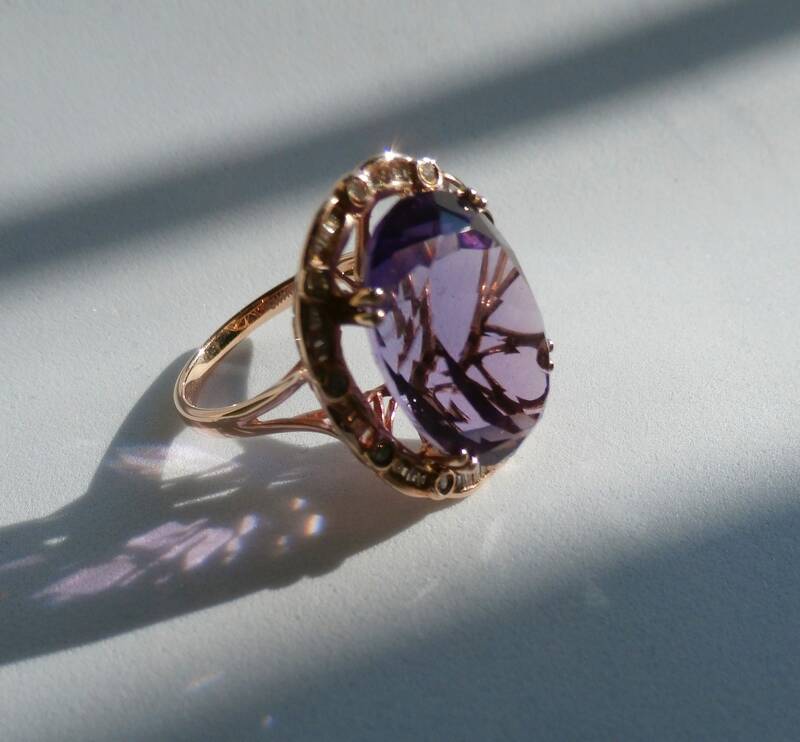 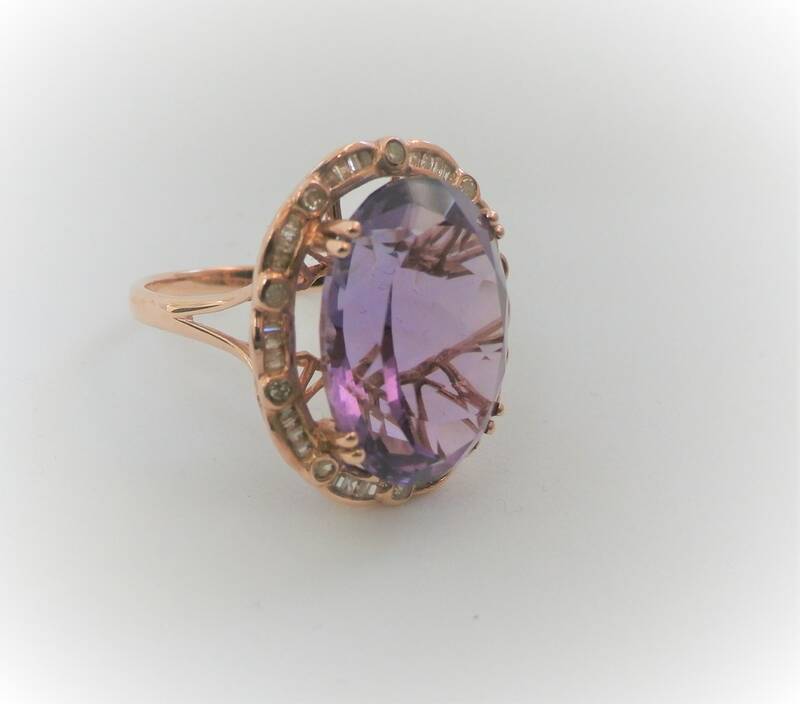 Amethyst 10.00 ct & 3/4 ct tw Diamond Ring 14K, Rose Gold, size 8, never been worn. 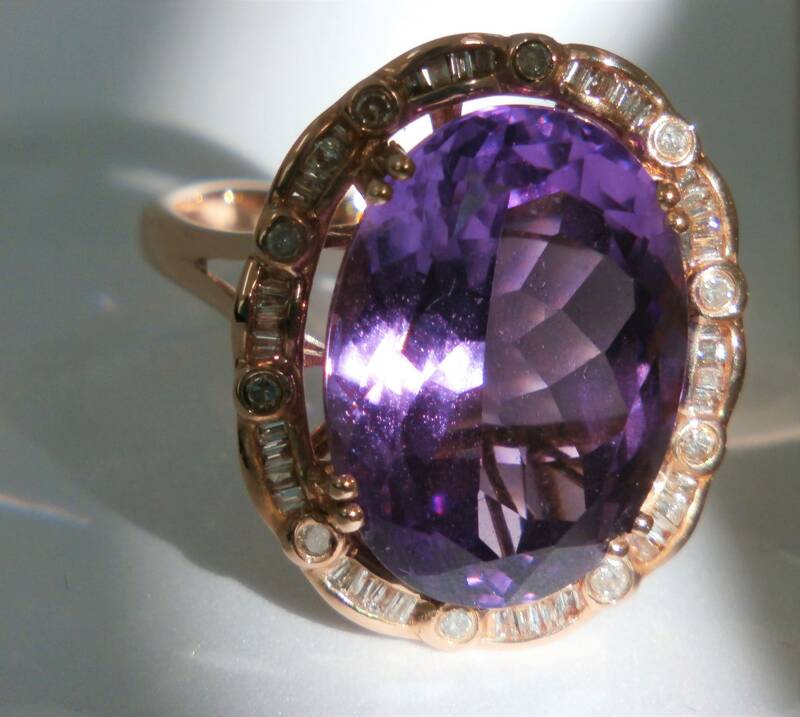 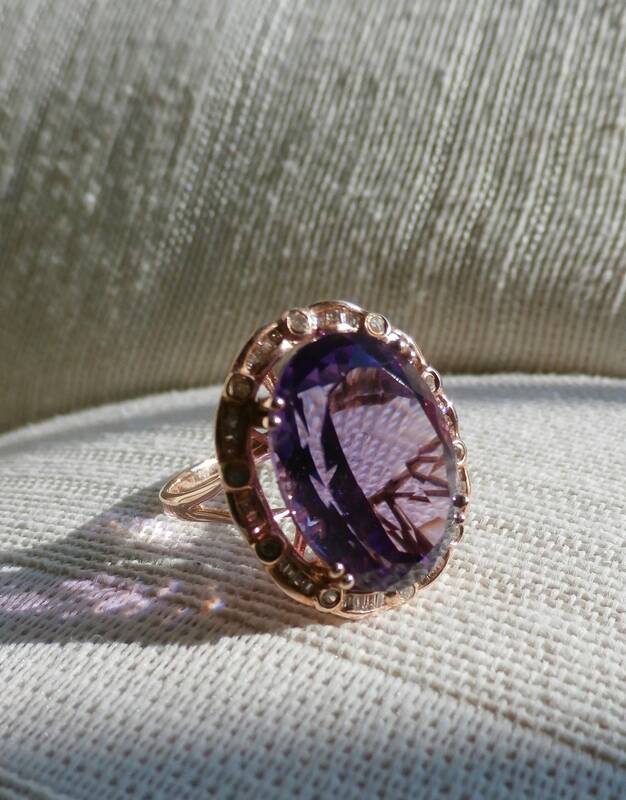 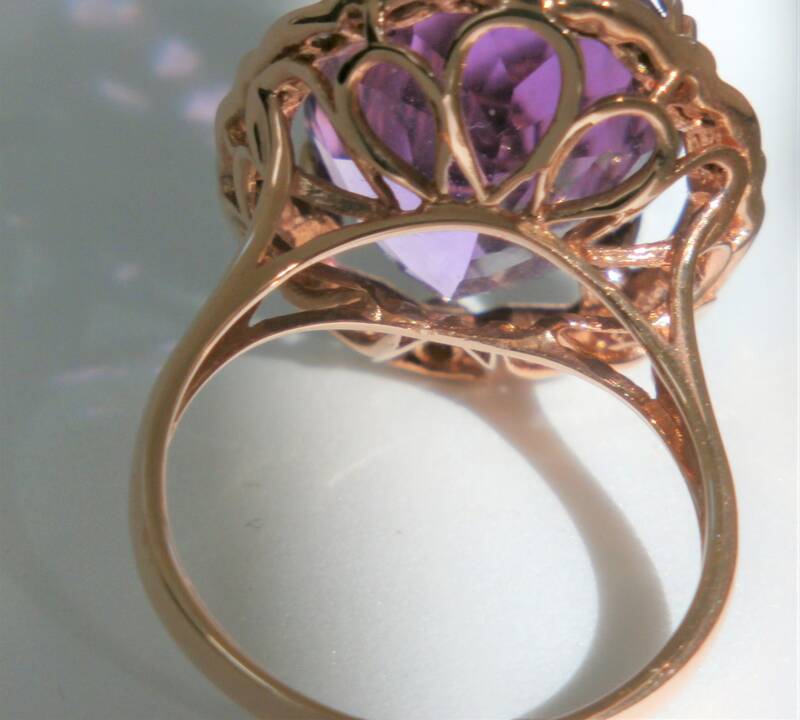 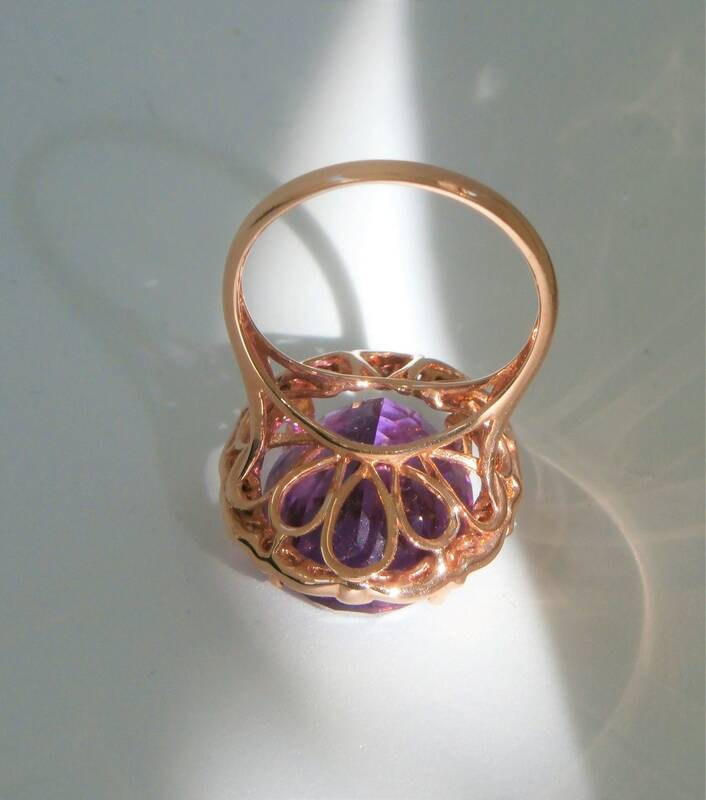 An extravagant statement ring which is a glorious Purple with some red sparkle. 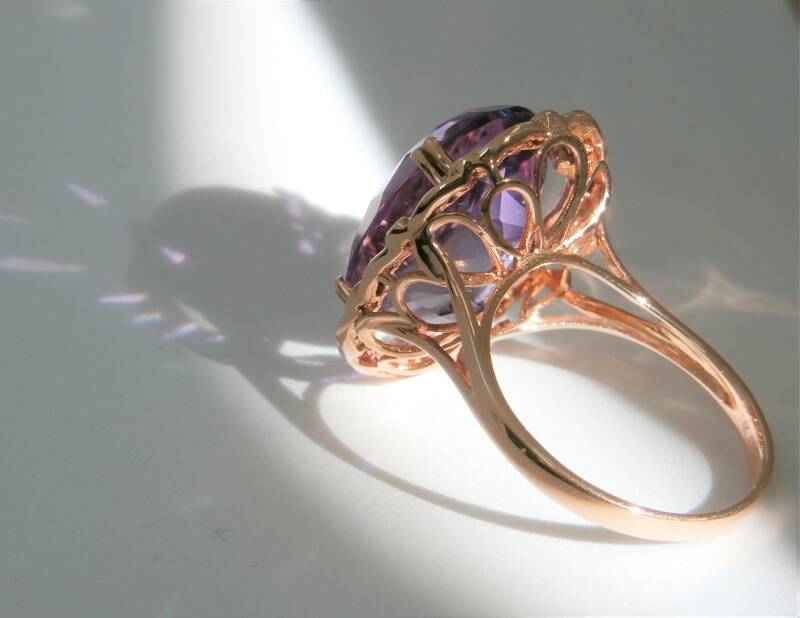 Truly beautiful with a Rosegold setting. 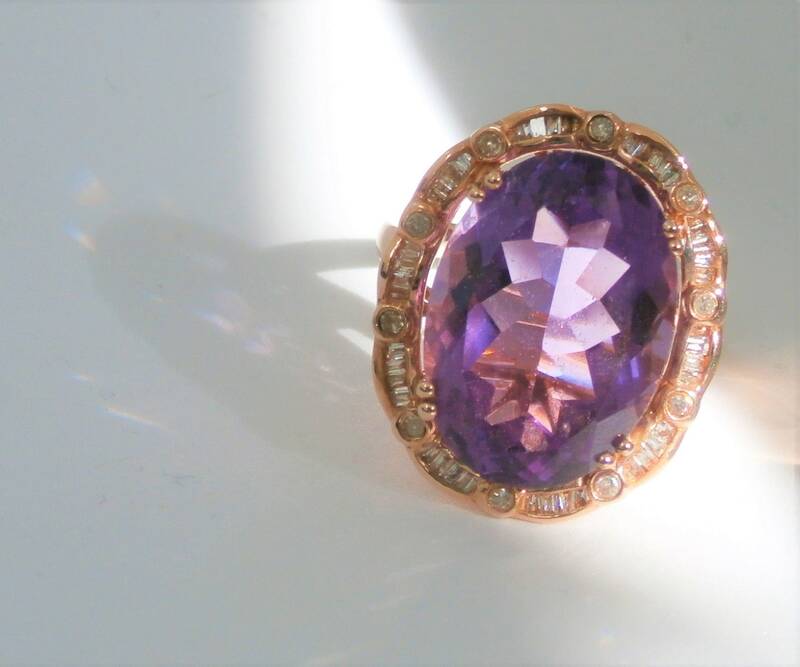 Diamonds are round & baguettes surrounding the 18 X 15 mm Amethyst, which is double pronged all around. 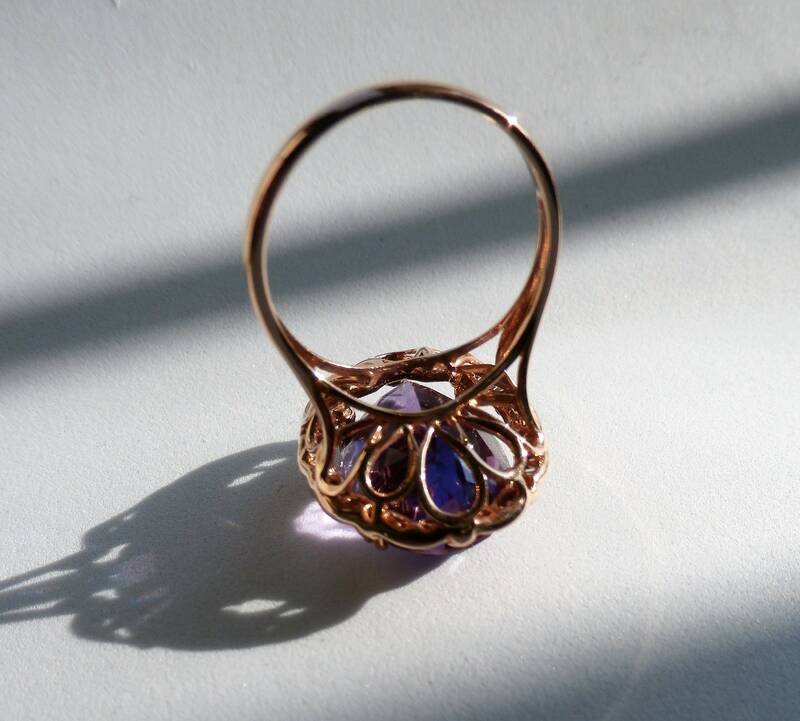 Filigree basket it sits on is smooth and perfect and stands a total of 10 mm high off of the finger. 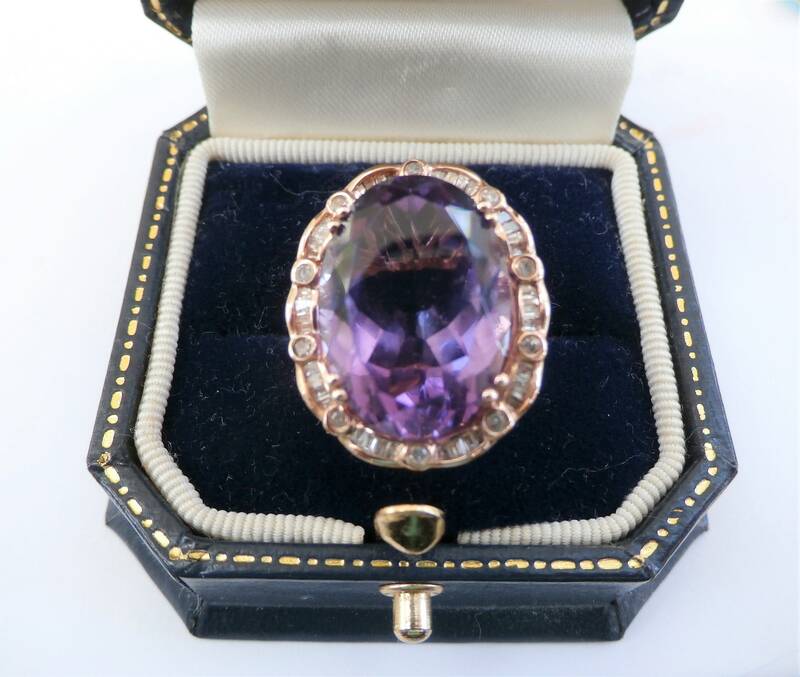 Box pictured not included, will be shipped in similar box.